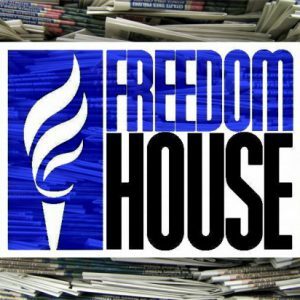 American human rights watchdog Freedom House in its most recent global report has ranked Belarus in the bottom ten countries in the world in terms of media freedom. Scoring more poorly than some of the world's worst dictatorships in this survey seems unjust and harms the country’s already poor image. Indeed, Belarus provides complicated conditions for journalists’ work, but journalism in Belarus remains a far less dangerous job than in many of the countries ranked more favourably in the report. Unlike many Asian and African dictatorships, the Belarusian authorities refrain from regular physical harassment or criminal persecution of journalists, outright censorship, punishment for criticism or political dissent. Despite some legal and political restrictions, many printed and online independent media outlets continue their work Belarus. In the 2016 Freedom House report, Belarus's ranking improved from 194th to 192nd place compared to 2015, but remained in the “worst of the worst” category. Only five countries scored worse: North Korea, Turkmenistan, Uzbekistan, Crimea (singled out) and Eritrea. Authors ranked Cuba and Equatorial Guinea the same as Belarus. According to Freedom House, Belarusian journalists enjoy less freedom than their colleagues in countries such as China, Syria, Zimbabwe, Iran, Bangladesh, Saudi Arabia and Azerbaijan. Meanwhile, the same survey indicated multiple cases of reporters and bloggers in these countries being imprisoned, physically harassed, forced to apologise on air, punished by lashes for criticising religion, shot, hacked and beaten to death. Governments in many of these and other states harshly censure the internet and other media. Ranking Belarus lower than such autocracies seemed dubious to Belarusian independent media experts. The Head of the Belarusian Association of Journalists (uniting reporters from non-governmental media) Andrei Bastunets admitted there were many problems with press freedom in the country, but still disagreed with Freedom House ranking Belarus as low as it did. Aliaksandr Klaskouski, prominent journalist at Belapan news agency and an outspoken critic of the government, expressed the same doubts. He contrasted press freedom in Belarus to that of Kazakhstan. “There, even in independent media you can hardly criticise the leader of the country as harshly as we do in Belarus”, –- Klaskouski argued. The owner of the most popular Belarusian independent web portal TUT.BY Jury Zisser said Belarus should not be ranked worse than other post-Soviet autocracies like Russia or Azerbaijan. “We have nothing to be proud of, but such reports make us look like North Korea to foreigners”, – he commented on Facebook. How Free is Belarusian Media? The situation with media freedom in Belarus remains complex, but it can hardly qualify as the “worst of the worst” in the world. Free TV or FM radio stations do not operate in the country. The government denies registration to Belsat – an independent TV channel established in Poland and forced to operate from there. Its reporters in Belarus, together with their colleagues from other “foreign” media have trouble acquiring accreditation. Working without it occasionally leads to being fined. Still, most of them work in the country without suffering persecution. Several oppositional and independent print newspapers like Nasha Niva and Narodnaya Volya are regularly published. People legally obtain these papers throughout the country, but they face circulation limits and, sometimes, administrative obstacles with distribution. Legal procedures for closing down the newspaper and, especially, blocking the website remain easy for the authorities. Getting information from the government is difficult. Some topics – like corruption among top officials, the arms trade or the personal life of Lukashenka and his family – sometimes appear risky to investigate. However, nobody is banned from or punished for criticising the government or Lukashenka on almost any issue: mistakes in managing the economy, foreign and domestic policy, electoral fraud etc. The media remain free to cover opposition activities and political prisoners, when we have them. Reporter Dmitry Zavadski was kidnapped in 2000 and the government has not properly investigated his case. Nothing of this kind has happened since then. Journalists have been imprisoned in exceptional cases only in Belarusian contemporary history. In January 2016 police officers beat up Pavel Dabravolski from TUT.BY portal after he used his smartphone to shoot them arresting protesters in the court building. Still, it would be fair to note that such cases happen rarely. The authorities try not to get embroiled in scandals with journalists to avoid unnecessary fuss. Occasionally the authorities block some independent websites. It happens once every several years, most recently in December 2014 during the panic on the currency market. Usually it lasts from a couple of hours to several days. Except for that, the Internet remains relatively free. Six out of the 9.5 million Belarusians in the country use the Internet, where they can access uncensored news and pluralistic opinions. Generally speaking, the government refrains from interfering in the work of independent media in the overwhelming majority of instances. Freedom of press in Belarus remains limited, but not absent. Journalism is challenging, but not existentially a dangerous job. The preparation of Freedom House reports starts with a journalist who is a resident of the country drafting the first version. Then the report goes through peer review by Freedom House internal and external experts. This approach requires improvement. Obviously, a journalist who has, for example, suffered from an authoritarian regime, might not assess the wider situation in the country objectively or accurately. Freedom House could add a second national expert as a reviewer. That would help to avoid subjectivity from the author of the initial draft and to counter-balance his or her potential bias. Other problems concern the scoring process. The more points the country receives in the three realms of press freedom – political, legal and economic – the worse. Belarus, for instance, scored 91 out of 100. Each of three areas splits into tens of detailed questions for the report author. Most of them are of the following type: “does the country have problem A?”, “do journalists suffer from problem B?”. However, many aspects of media freedom – existence of self-censorship among journalists or plurality of opinions in state outlets – cannot be properly assessed in binary yes-or-no style. The degree of every problem differs from country to country. In many specific questions, the Freedom House methodology seems not to consider this. Engaging more Belarusian experts and revising the questionnaire will help Freedom House fight stereotypes rather than spread them. On the 30th anniversary of the Chernobyl disaster government officials are trying to dispel some common Chernobyl myths circulating in Belarusian society. The authorities are preparing for the All-Belarusian Assembly in June – an event that aims to add legitimacy to various political initiatives. Belarus is working on the abolition of energy subsidies and is calculating the possibility of popular discontent resulting from rising tariffs. Belarusian IT genii are winning global startup contests but do not want to set up companies at home. All of this and more in the latest edition of the State Press Digest. All-Belarusian People's Congress will unite power and people. Zviazda newspaper talked to Marat Žylinski, rector of the Public Administration Academy and MP, about the significance of the All-Belarusian People's Congress scheduled for June. The assembly is a forum in which the government talks to the representatives of people, tells them frankly what has been achieved, what has failed, and why. The delegates should understand clearly where the country is heading, and then transmit this vision to their constituencies. According to Žylinski, although Belarus has low wages and a deficient public administration, the preservation of peace and unity should come before everything. The All-Belarusian congress has become one form of legitimisation of President Alexander Lukashenka's rule. It allows the authorities to appoint delegates who “represent” the grassroots and who will approve government strategy for another five years. Hrodna region intensifies cooperation with Podlasie Voivodeship (region) of Poland. Hrodzienskaja Praŭda highlighted a visit of the delegation of Hrodna region leaders to Podlasie Woivodeship of Poland at the beginning of May. The Poles called the visit “a historic event”, since the last visit of Hrodna officials to their Polish neighbours took place 10 years ago. The visit included a joint cycle, a tour of Bielavieža forest, the Augustow channel and some other spots, as well as informal negotiations. According to the head of Podlasie region Erzy Leszczynski, the sides have a particular opportunity to cooperate in walking and cycling tourism, the more active joint use of the Augustow channel, opening of new border crossing points, expanding the areas of visa-free visits, and cultural exchange. Hrodna region head Uladzimir Kraŭcoŭ announced that the Hrodna authorities plan to apply for EU funding for around 50 projects in the area of cross-border cooperation. Tax inspectorate ffines the leader of the unofficial Union of Poles. The tax inspectorate of Hrodna city ordered that Anžalika Borys, head of the unofficial Union of Poles in Belarus, pay a fine of $6,000, wrote Belarus Segodnya. Borys owned a private company called Polonica that specialised in cultural and educational events financed by the Polish government. The newspaper claims that the company often organised fake events and engaged in other forms of deception to secure funding from Poland. The Belarusian authorities qualified it as a misuse of funds and issued a fine. The company subsequently went bankrupt and now its head has to pay the fine herself. Borys heads the unrecognised group of Poles' Union, which emerged after the breakup of the organisation in 2005 as a result of conflict with the authorities. Since that time the unofficial organisation has been facing pressure in a number of ways. Belarusians win global startup contests, but do not set up companies at home. Narodnaja Hazieta described a number of successful IT startups created by Belarusians in 2015. Arciom Stavienka and Kiryl Čykiejuk found success at the Pitch to Rich contest with their screen that makes holographic 3D projections. 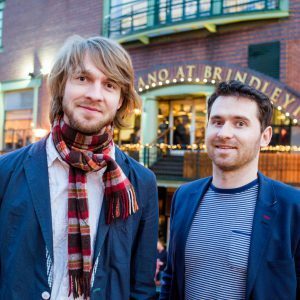 Their company Kino-mo won a £150,000 prize for advertising and marketing, and received partnership requests from 40 countries. Their device also featured on all top lists of the famous CES exhibition in Las Vegas, along with LG, Samsung, and Toshiba gadgets. Jury Birčanka won $220,000 at prestigious British competition The BIG Awards. He presented a wireless networking platform that enables low-cost and low-power communication between devices and clouds. Siarhiej Churs and Dzmitry Marozaŭ won a Grand Prix and a prize of $100,000 at the innovative startups contest, the Wolves Summit in Warsaw. They presented a portable scanner to detect dental problems at early stages. However, the newspaper noted that all these IT-breakthroughs are registered in the EU and the US, and tried to explain why startups cannot effectively develop in Belarus. Removal of energy subsidies will cause 2.5 fold price rise for households. Respublika called attention to an overview of the Belarusian energy sector prepared by the OECD with the support of the EU and the UN. The report states that energy subsidies for the population and industry grew from $1bn in 2010 to $1.7bn, or about 2.2 per cent of GDP, in 2014. However, due to the fact that gas, heat and electricity tariffs are exempt from VAT, in 2014 the national budget lost $199m from subsidy policies. A full cessation of subsidies in the energy sector would imply that Belarusians have to pay 2.5 times more than the current price. In terms of money this will mean an increase from about $60 to $150 per person annually. The average monthly fee for a family will reach $38 and increase to $58 during the cold season. Belarus will gradually be freed from radiation. Belarus Segodnia interviewed Head of Contaminated Areas Department of Emergency Ministry Dzmitry Paŭlaŭ, who dispelled a number of myths about Chernobyl that are still widespread among the Belarusian population. The radiation in Belarusian lands will not last forever, as the 30-year half-life of cesium and strontium has now passed. In 2046, affected areas in Minsk and Hrodna regions will become clean. However, the area in the immediate vicinity of Chernobyl, which was also contaminated with plutonium, will remain dangerous for hundreds to thousands of years. The government is not in a hurry to return contaminated areas to cultivation, despite what many think. Out of 250,000 hectares of contaminated land only 17,500 have been returned to agricultural use in the past three decades. Homiel region continues to suffer from a high rate of alcohol-related deaths. Homielskaja Praŭda presented data from the State Committee of Court Expertise on deaths caused by drinking alcohol. Within the first three month of 2016 in Homiel region 75 people fatally poisoned themselves with alcohol. In 2015 the death toll from alcohol poisoning reached 254 people, 15 fewer than in 2014. The victims usually consume excessively large quantities of legal alcohol, and many drink highly toxic technical spirits which easily cause death or serious health damage.